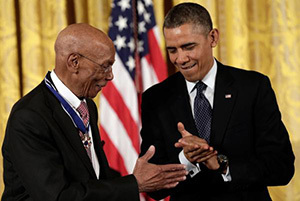 Having spent a significant portion of his adult life in Chicago, President Obama became a fan of Ernie Banks, just like everyone else who had the pleasure of knowing him or meeting him. 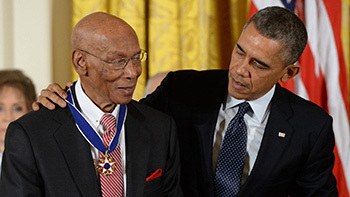 And though the president is never shy about sharing his allegiance to the Chicago White Sox, his respect and admiration for Mr. Cub was always clear. 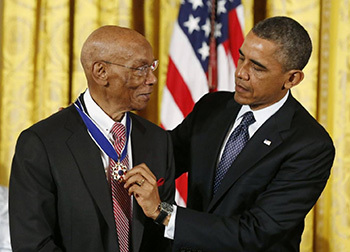 Perhaps never more so than Nov. 20, 2013, when he awarded Ernie Banks the Presidential Medal of Freedom.